What is my biggest accomplishment? 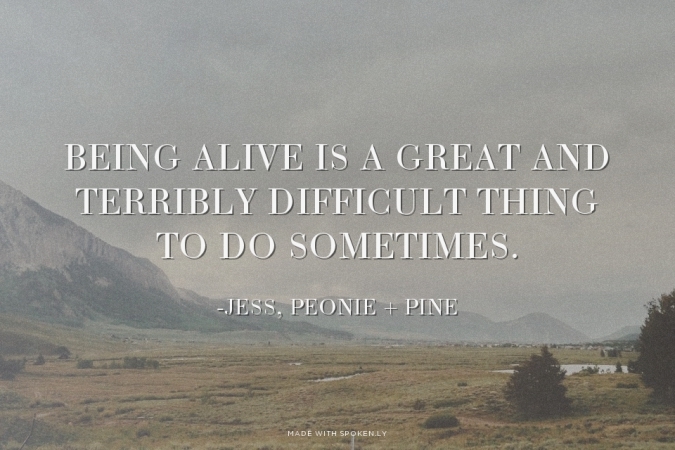 You need to know that being alive is a great and terribly difficult thing to do sometimes. And if you have managed to be alive this long, you are a hero. You deserve all the praise in the world. You might get stressed out and snap at people. You might not pay your bills on time all the time because you forget. Redbox movies might still be sitting on your coffee table because you don’t like leaving the house. Plans with friends may have been cancelled because you’d rather sleep or watch Netflix. You might have had to stop going to college even. Or you might have left a job and moved in with your parents because you just couldn’t deal. I see you. I’ve been there. I know what it’s like. It feels as though you are the worst living human and you have no business being allowed to be an adult. You ARE alive. And you can’t NOT be an adult. Whatever is an adult anyway beside just someone of legal age? Why are so many things “adult things” and why do they have to make us feel so awful when we don’t get all of them right all the time? I’m not good with numbers. I will never be good with numbers. But my husband is. And we are both adults. He just does other “adult things” than me. And we are both alive together. Sometimes I feel like my aliveness is stretched very thin. But let me tell you something else. To be able to be stretched to the point of breaking, and NOT breaking is a feat of greatness. You are great because you have found the ability to stay alive. 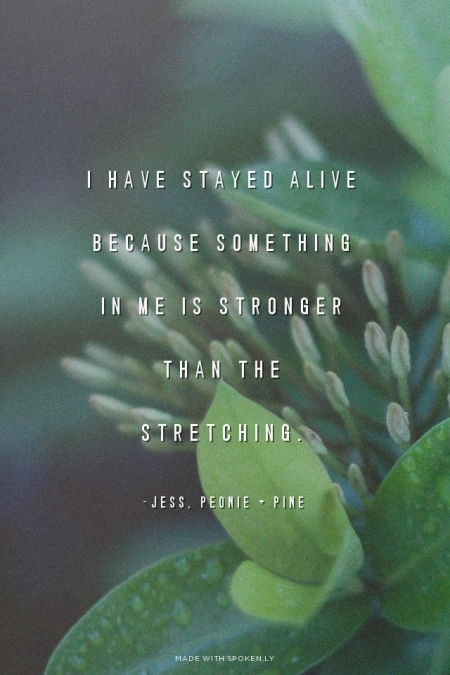 I have stayed alive because something in me is stronger than the stretching. 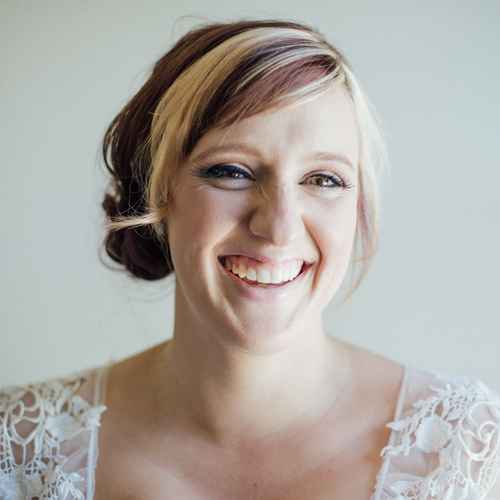 Check out these other amazing ladies that are blogging through the 31 Day Blog Challenge. If you want to be part of the link up for the 31 Day Blog Challenge just share your link in the comments below. It doesn’t matter if you’ve just started or if you’re ahead of me. It would be so great to add some more bloggers to the link up. I love reading everyone’s answers to these great challenge questions. Writing was an enjoyable thing for me, even at a young age. I can remember the first poem I ever wrote was about eagles and foxes. How much more epic can you get, right? I was so proud of myself, and all the adults in my life were so impressed. Ive always been surprised by the fact that people like the things I make, even my weird sketches as a little girl. My family would talk about them like they were amazing, and share them around to their friends. I’ve had something of mine posted on a fridge non-stop since I was 4. The content of my art stayed light for quite awhile and continued to be praised by others until I got older. In high school I wrote poems mostly. Sometimes I tried to write short stories, but I wanted to put too much of myself in them, and they turned into poems again. I had finally learned the therapeutic effects of writing and began using it to express the deepness I had within me. I wrote about boys for a long time, I wrote about sadness, and rejection, and how much it hurt to be lonely. The more darkness I slipped into my poems, the less praise I received. I eventually turned my writing more inward and my writing fueled my toxic feelings. My writing was all about sadness and anger. It was at a point in life when growing up meant feeling all the feelings and I had no where else to put them but into writing. My family isn’t big on connecting emotionally with each other. Coming from a Christian background, I was taught to take my deep and sometimes scary feelings to Jesus. When I got to college, that’s what I tried to do. My writing still had a bit of cynicism and sadness, but it was all wrapped up in a nice little bow that looked a lot like faith. It was really more of a moral that I felt like I had to have. I didn’t just write to feel anymore. I wrote to teach and prove. I never just let my mess hang out and be experienced. I always fixed something at the end of each post. I stopped writing. It was a burden. It had been twisted from a gift to myself into proof that I was okay. And I wasn’t. It felt like I couldn’t make art without there being a purpose. 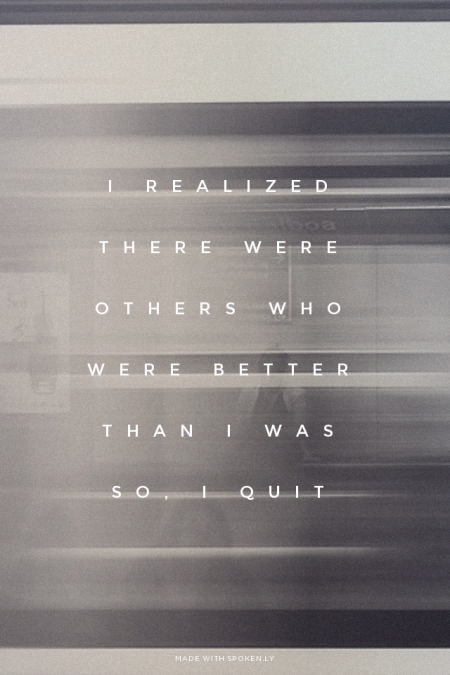 The purpose started out being just to feel better and since that wasn’t happening, I had failed. 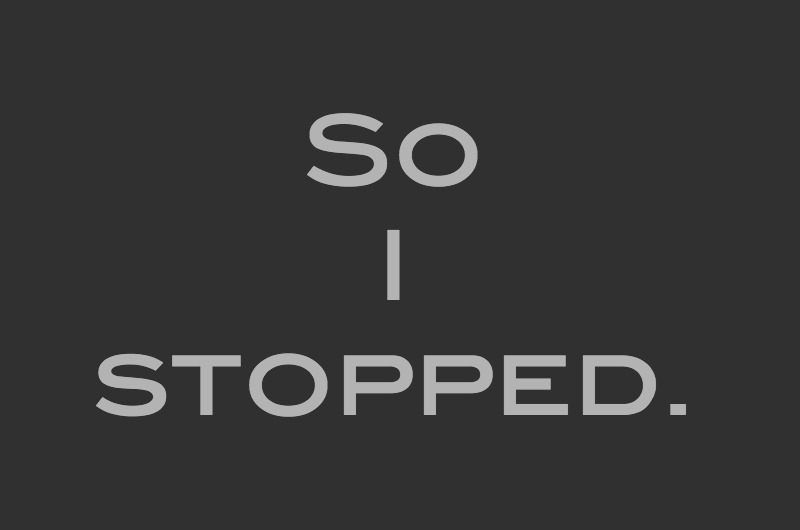 So I stopped. Well, basically everything. I’ve moved from feeling irreparable to having a slightly more realistic view of the deep feelings inside of myself. 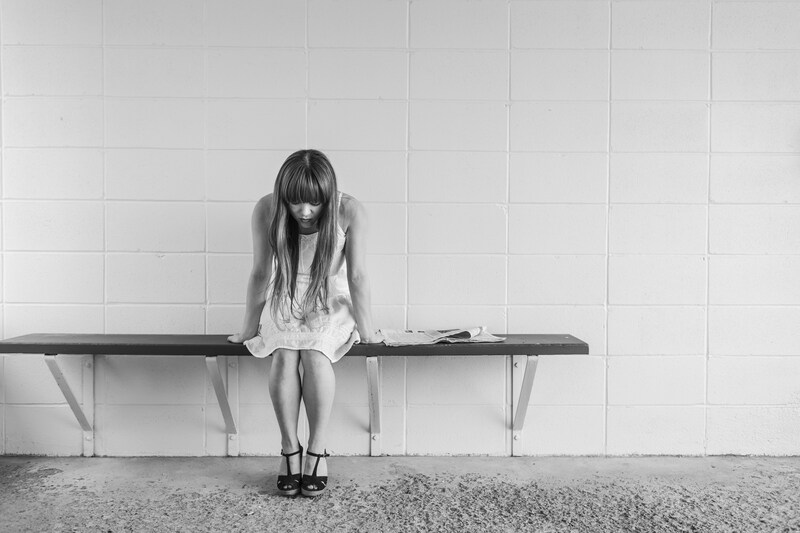 I sought help and now have a diagnosis of Depression and Anxiety. I take medication. I see a counselor. It’s great. I recommend counseling for anyone at least once in their life. I have various support systems that I interact with virtually. I am always tapped in to people that speak truth into my life and encourage me. Women that understand the courage it takes to put yourself out there and how damn hard it can be. 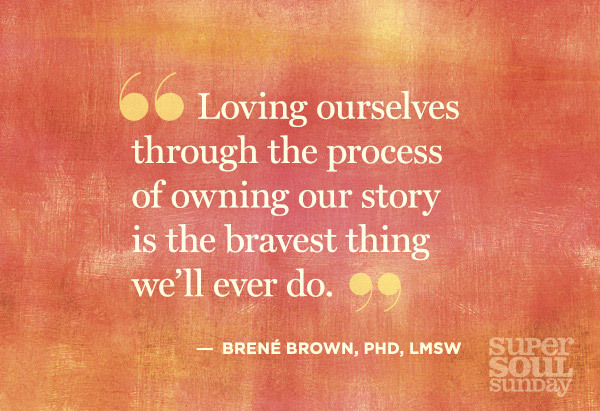 And lastly, I have learned to love myself and do things just for me. I do things just because they make me happy. Being happy is okay. And so is being sad. And if being sad publicly through writing a blog post makes me feel better, I’m gonna do it. I still struggle with wanting to do it for others. And honestly, it kind of is for others. But it’s still for me. In a new way. My voice is different, and a whole lot less shaky. So I stopped writing for a while. And I missed documenting some really important things. I don’t want to go through the rest of life wishing I had written about it.